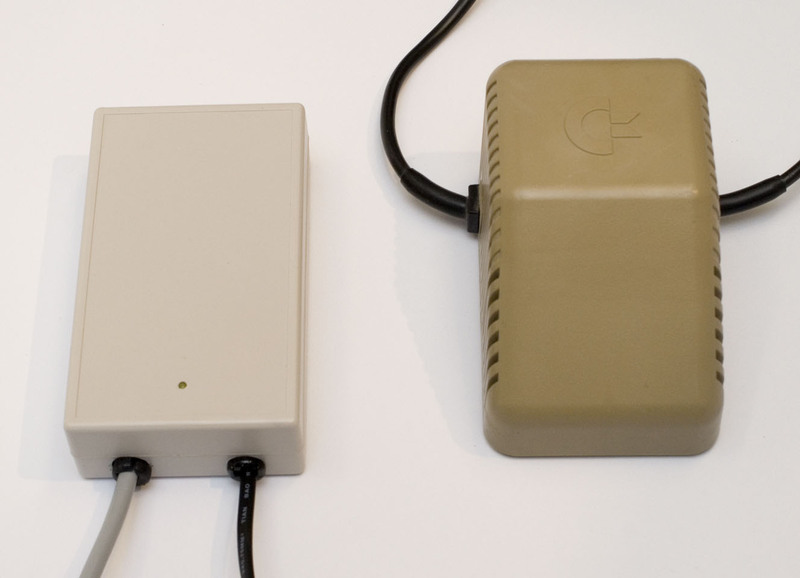 The original C64 power supply is well know to be hot and to break. 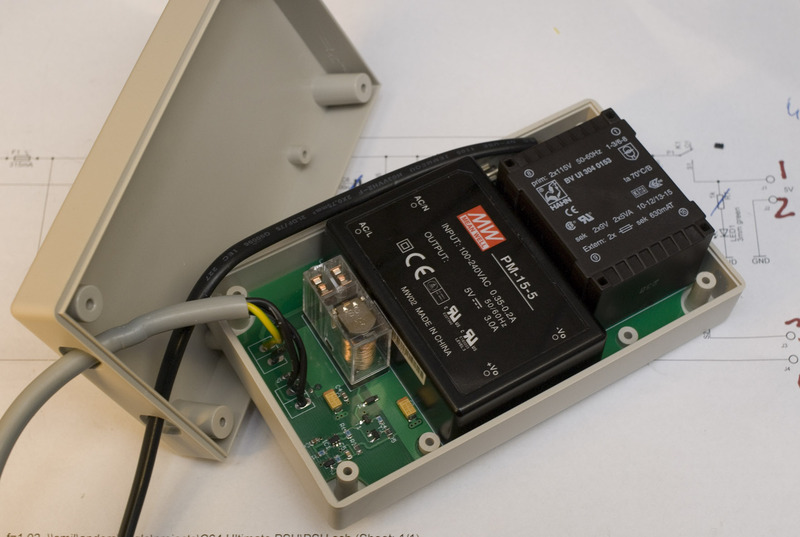 When these power supplies break they tend to put about 12V DC on the 5V terminal. This means that the computer will break as well. There were some people at work that also had need for new supplies. So I decided to develop a new one. The basic idea was to keep it simple. I ran across a PCB mounted switched power supply that I decided to use together with an ordinary transformer to create the 5V DC and the 9V AC that the computer needs. I also added a relay on the output. This means that if the 5V supply ever exceeds ~5,3V the relay will be released and both the 5V DC and the 9V AC will be turned off. Once the protection circuit has triggered the wall plug must be unplugged to reset the protection circuit.